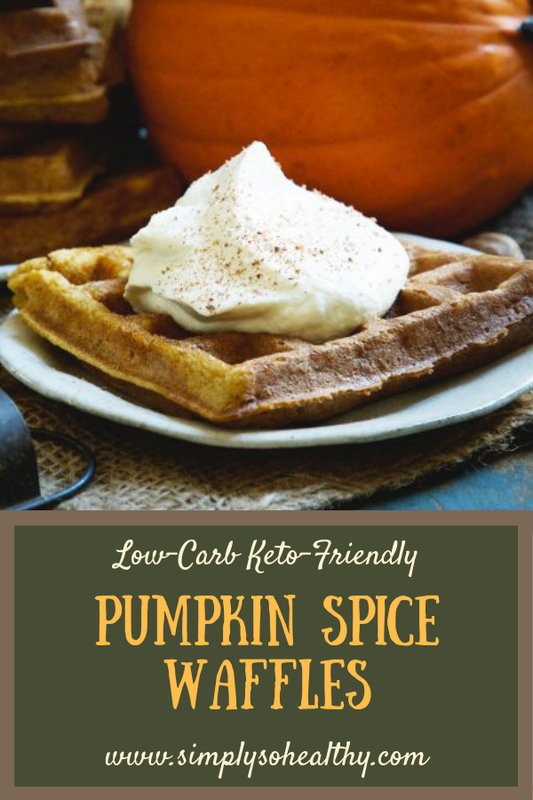 This Pumpkin Low-Carb Almond Flour Waffle Recipe makes fluffy waffles brimming with pumpkin spice flavor. These waffles can be part of a low-carb, keto, Atkins, gluten-free, grain-free, dairy-free, or Banting diet. 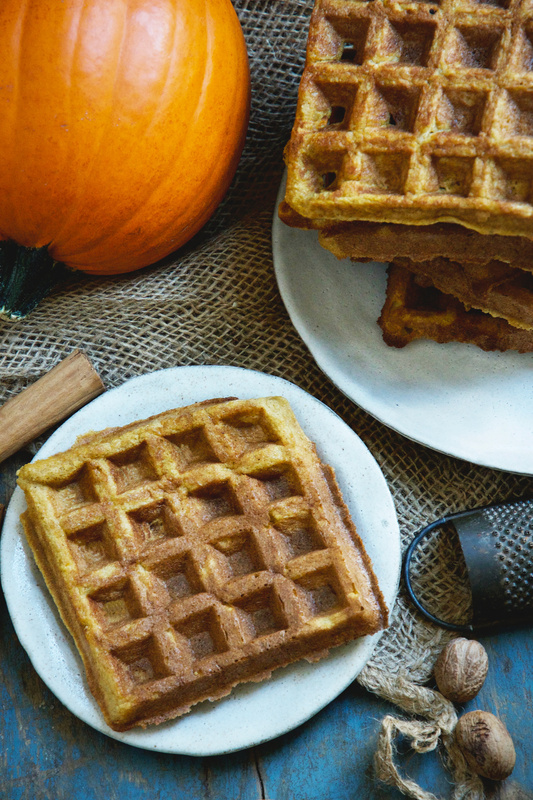 This Pumpkin Low-Carb Almond Flour Waffle Recipe makes waffles that are perfect for a fall breakfast, but can be a special treat anytime of year. Our recipe is super-easy to put together. I use a food processor to make the batter. To make the waffles extra-fluffy, I whip the egg whites into meringue separately then gently fold them into the batter. This adds extra air into the waffles. 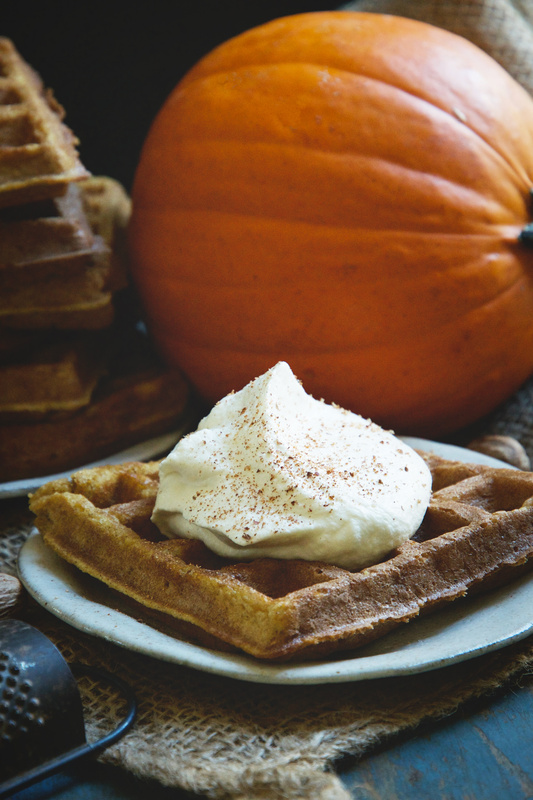 These waffles contain real pumpkin for genuine pumpkin flavor. 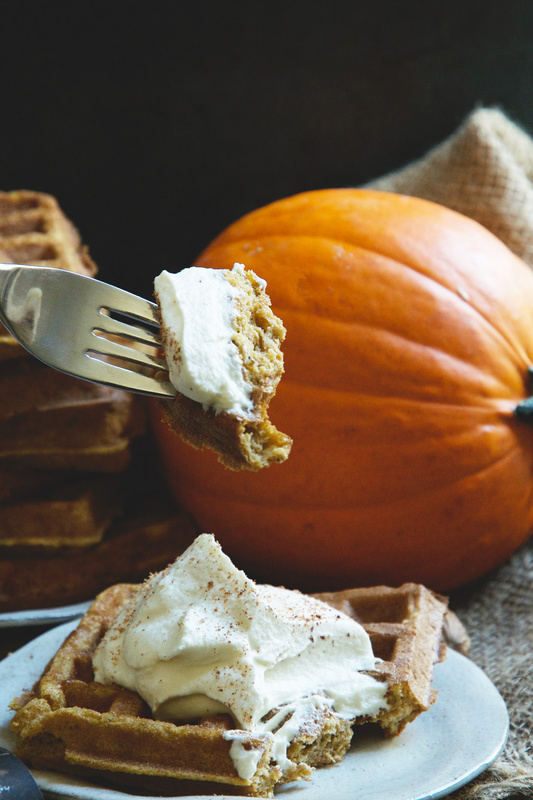 Winter spices like cinnamon, nutmeg and cardamom enhance the pumpkin, while vanilla pulls it all together. This recipe was inspired by fall. 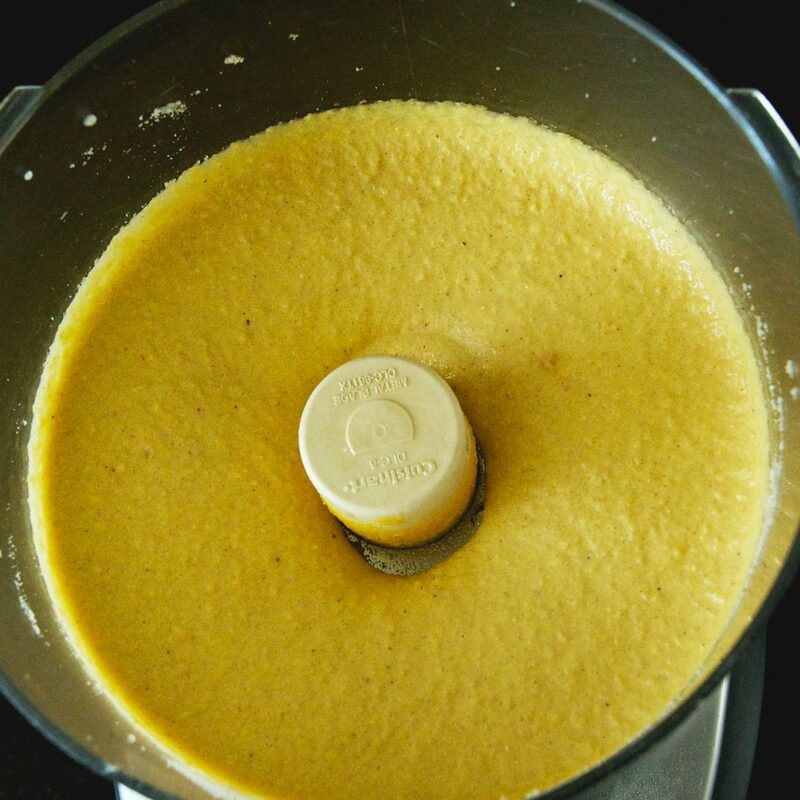 It’s the season for pumpkin spice and I like to add at least one new pumpkin recipe to the blog each year. For some reason, this year my thoughts were laser-focused on breakfast foods. I contemplated about pancake, donut, and waffle recipes. The idea for waffles won out. It’s been a while since I’ve made a waffle recipe. I based the actual recipe on my recipe for Easy Guilt-Free Chocolate Waffles. If you love waffles and love chocolate, you should check this recipe out! 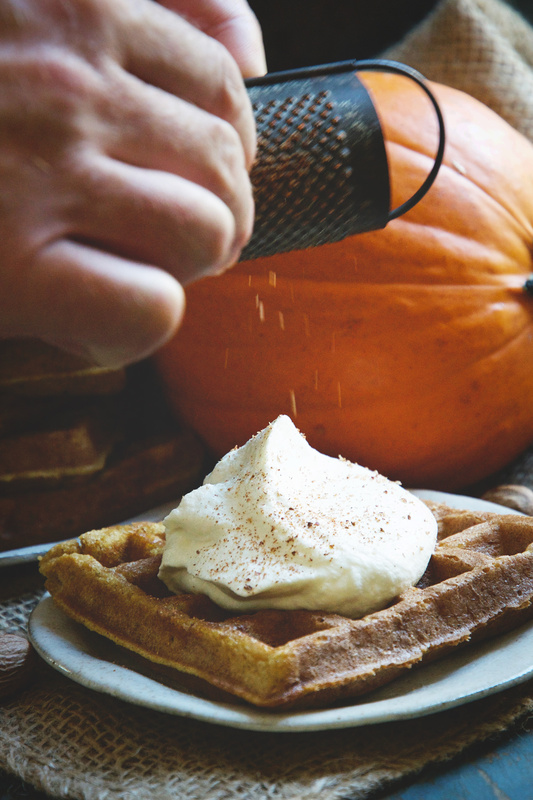 While I use a combination of spices for these waffles, they will be just as delicious if you use a pre-made pumpkin spice. Read the ingredients to be sure, but, in general, I find that these spice combinations don’t have as many fillers as other purchased seasoning combinations. 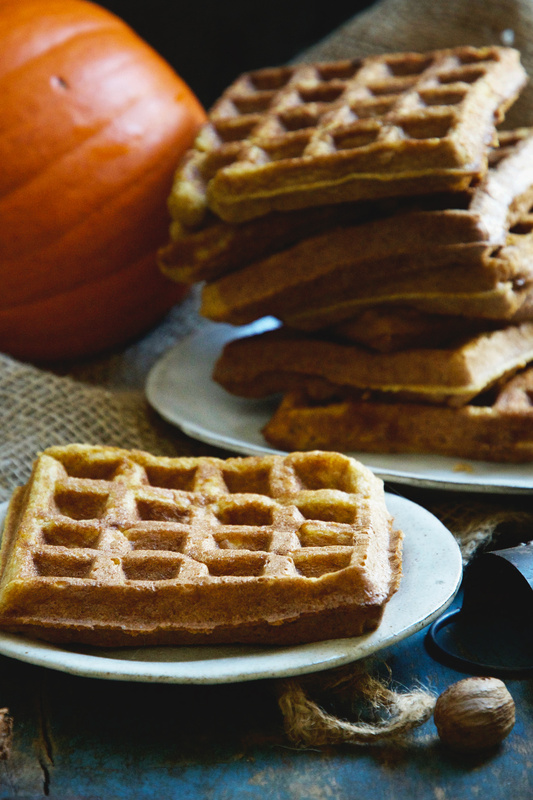 It’s easy to make these waffles dairy-free simply by using coconut oil instead of butter. Be sure to use a dairy-free oil to grease the waffle iron as well. I use Pyure Organic All-Purpose Organic Sweetener Blend as the sweetener in almost all of my recipes. My posts are not sponsored by the manufacturer. 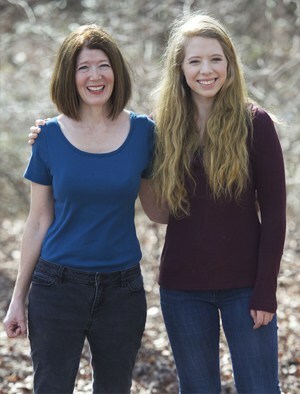 Instead, I use it because it is easily accessible to most of my readers either through Amazon and is carried throughout the USA in natural food stores as well as Walmart. In addition to its accessibility, the combination of erythritol and stevia is tolerated by most people, but from a blood sugar and a digestion standpoint. The stevia used in this sweetener is high quality and produces less aftertaste than some brands that use stevia. Another reason I use Pyure is because it is twice as sweet as sugar. Because of this, you only need to use half as much as you would if the sweetness level is the same as sugar. This decreases the amount of erythritol in your recipes which also decreases the strong cooling effect it can have in large quantities. Additionally, an advantage of using less sweetener is the price. While Pyure is less expensive than many baking sweetener mixes, the fact that you use half as much makes it a much more value conscious option. I do understand that many people like other sweeteners and that’s fine. For the most part, it’s fine to use other sweeteners in my recipes if you take a few things into account. First of all, be sure to take the sweetness level of your sweetener into consideration. If your sweetener has a 1:1 substitution ratio with sugar, you will need to use twice as much. This may affect the bulk of the ingredients, but will probably be fine in most recipes. Super-sweet sweeteners such as pure stevia powder or monk fruit powder will not provide the bulk needed in this recipe, so I would not use them. I recommend drizzling these waffles with your favorite low-carb maple syrup, adding a dollop of sweetened whipped cream (or coconut cream for dairy-free), or smearing on some cream cheese. A sprinkle of nutmeg or a touch of low-carb caramel sauce, or a few pecans or walnuts on top will make them even more special. While these waffles make an awesome breakfast, they can double as a dessert. A scoop of ice-cream on top and you’re good to go! These waffles freeze well and can be heated up in a flash in a toaster. Enjoy! Preheat waffle iron according to manufacturers instructions. 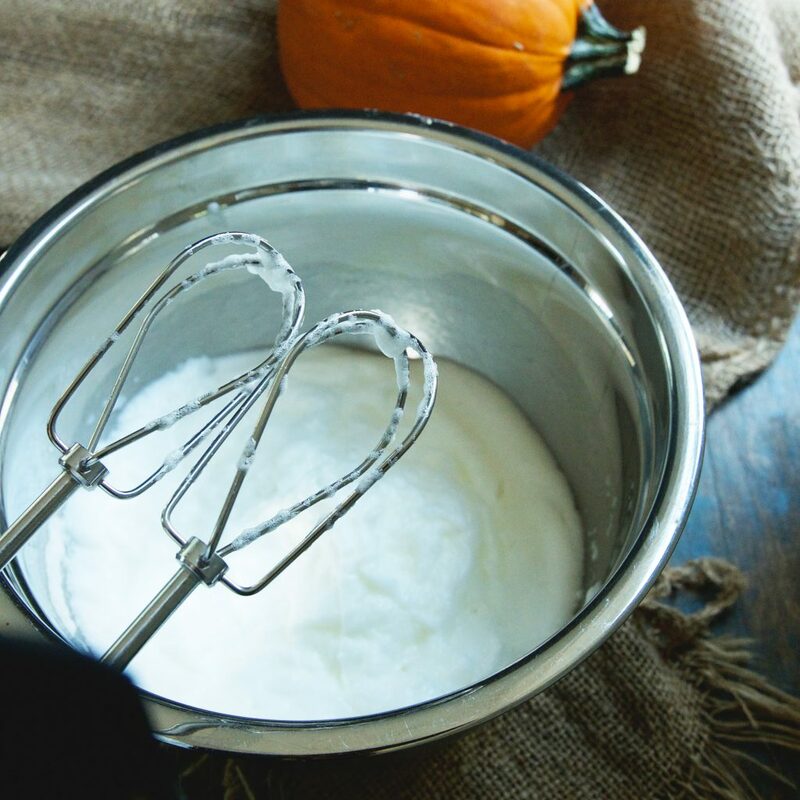 Beat egg whites in a medium bowl using a hand mixer or stand mixer until stiff peaks form. Set aside. 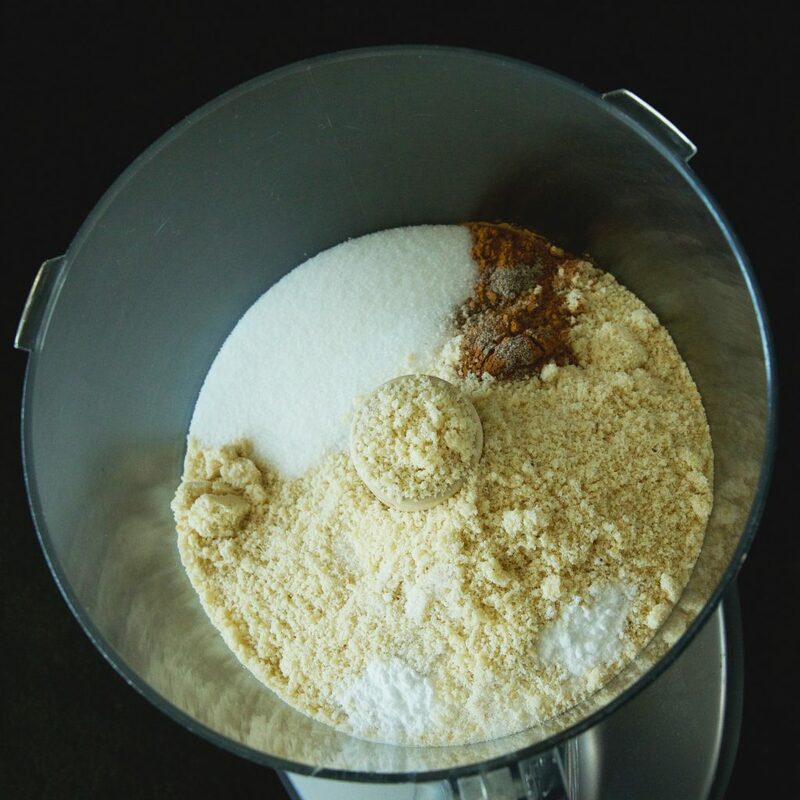 Add almond flour, granulated stevia/erythritol blend, sea salt, baking soda, ground cinnamon, nutmeg and cardamom to a food processor.Pulse to blend dry ingredients together. 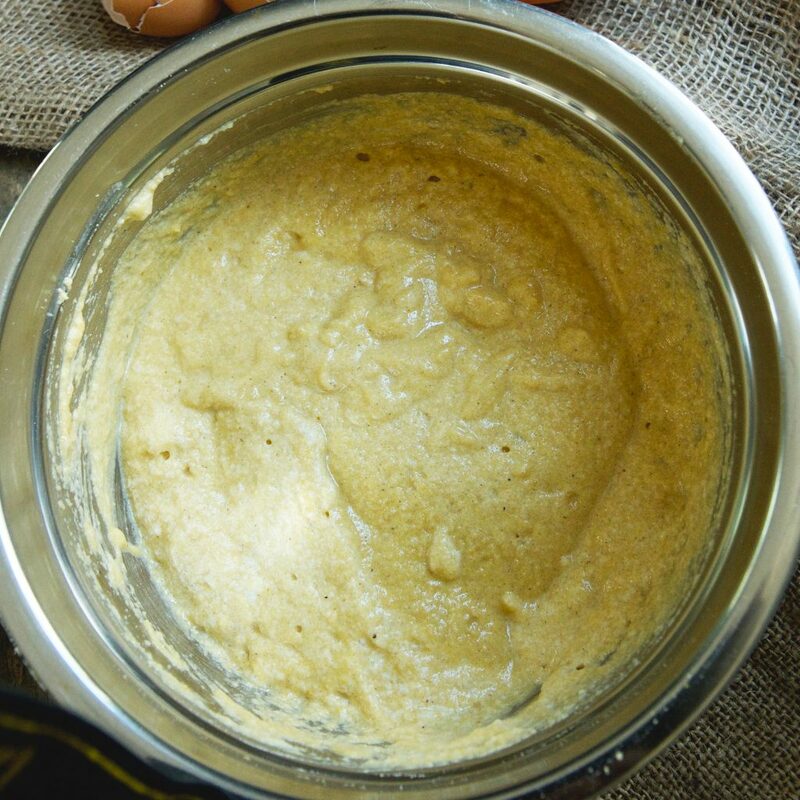 Add melted butter or coconut oil, pumpkin, egg yolks, almond milk and vanilla extract to the dry ingredients. Pulse a few times until well-blended. Add about a third of the pumpkin mixture to the egg whites and fold to in to incorporate. Fold in the remaining pumpkin mixture. Bake in your waffle maker according to the manufacturers instructions, spraying the waffle iron with cooking spray or greasing as necessary. Serving size: 1/8 recipe (one square of waffle if using the waffle iron linked to above. My favorite time of year, pumpkin season! These waffles look so good I can’t wait to try them out. My little boys just love waffles. I’m going to give your recipe a try some Saturday morning for breakfast. I hope they are a hit! Yum! 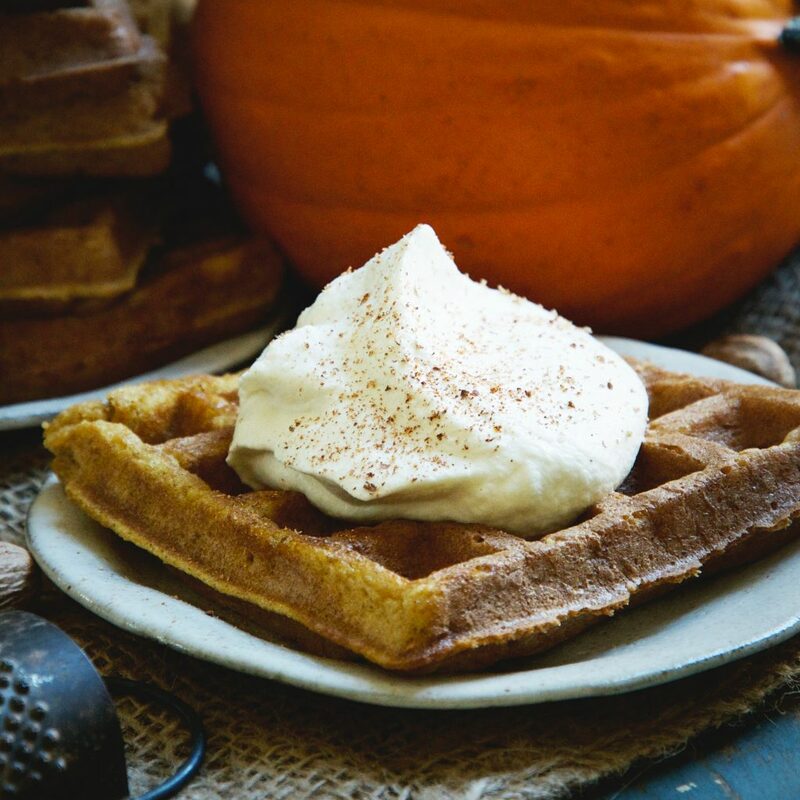 I am always looking for delicious waffle recipes for my boys and these pumpkin waffles made with almond flour sound so delicious. I can’t wait to try them this weekend! THESE LOOK PERFECT FOR THANKSGIVING MORNING! DELISH! They would be perfect for Thanksgiving day breakfast! These waffles look amazing and perfect for weekend brunch! Delicious! Glad you enjoyed them! This recipe has become a fall favorite at our house. How easy would it be to make these as pancakes instead of waffles? Hi Haley! I think that would work fine! You may need to thin the batter a little bit with some additional almond milk. These are absolutely delicious .love this waffle. How far in advance could I make this batter and it still work the same? We are going to my son’s house Thanksgiving morning and making waffles. Could I make it the day before or would that not work because of beating the egg whites? And btw, I find that I like your recipes the best of all the blogs I read. I do, however, use Swerve because I don’t love the Pyure result. It’s a small issue. 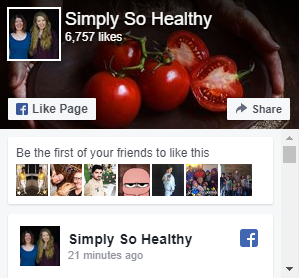 I’m just very grateful for your recipes! Sorry I’m getting back to you so late! I’ve had a houseful of people here for the holiday and haven’t had a chance to check the blog much. I make these ahead and put them in the fridge or freezer. I just heat them up in the toaster. If you love Swerve, then use it. It’s a little less sweet than Pyure, so you need to use more for the same sweetness level. Some people like things less sweet anyway. Yes. You’ll just need to increase the amount for the same sweetness. The sweetener I use is twice as sweet as sugar. Of course, raw sugar will increase the carb content quite a bit. 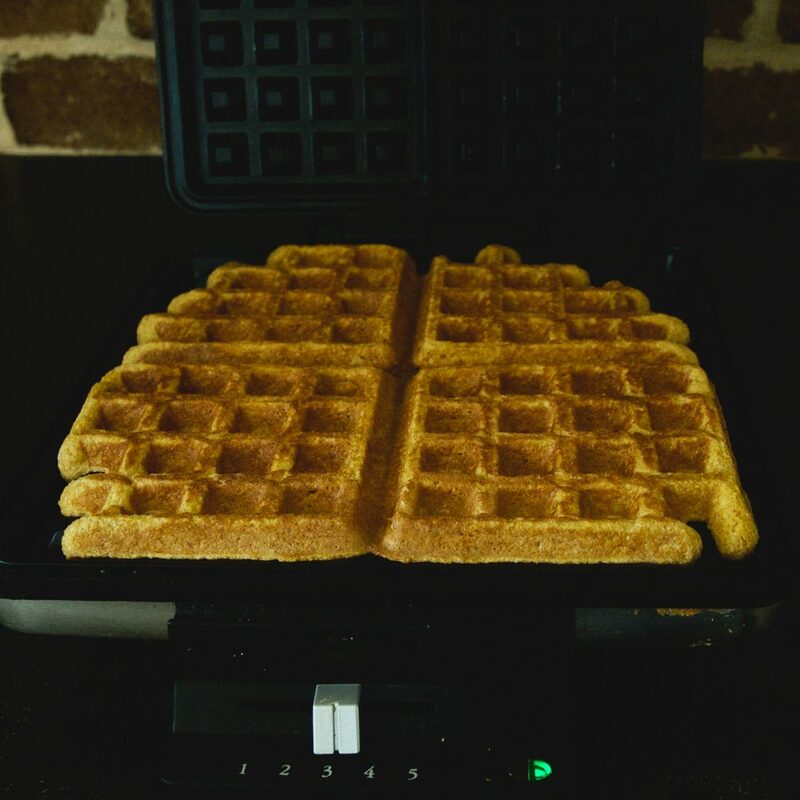 On a cold, dreary weekend like this one, these waffles sound like the perfect pick-me-up and my husband always gets a grin on his face when I pull out the waffle iron. I’m a particularly big pumpkin fan — and pumpkin spice, so this recipe has really ticked all the boxes for me. Love that it’s lower in carbs as well, so that I can stick to those resolutions. Thank you for that. I just made these & they came out great (make sure you grease the iron well, my 1st one stuck something awful) but after that all went well. Cook them about 7-8 mins for crispier ones or toast them to crisp them up. Definite make again. Yes, some waffle irons will require more oil than others and some non-stick varieties have specific oils you should use. This is why you should follow the guidelines of your waffle iron manufacturer to bake the waffles. I actually prefer the leftovers as the toaster does crisp them up nicely. Glad you enjoyed them! Thx for the recipe. I used half the amount of sugar and they were still plenty sweet.